Far Cry 5 sells for £50. For that you get a lengthy open-world first-person shooter campaign and access to a multiplayer mode focusing on player-created maps. As with most games, there’s more game coming, for a price. It has a £25 season pass which will give players access to three single-player expansions and advance access to a re-release of 2012’s Far Cry 3, which will get ported to PS4 and Xbox One 26 June for non-pass-holders and 29 May if you dished out the money. 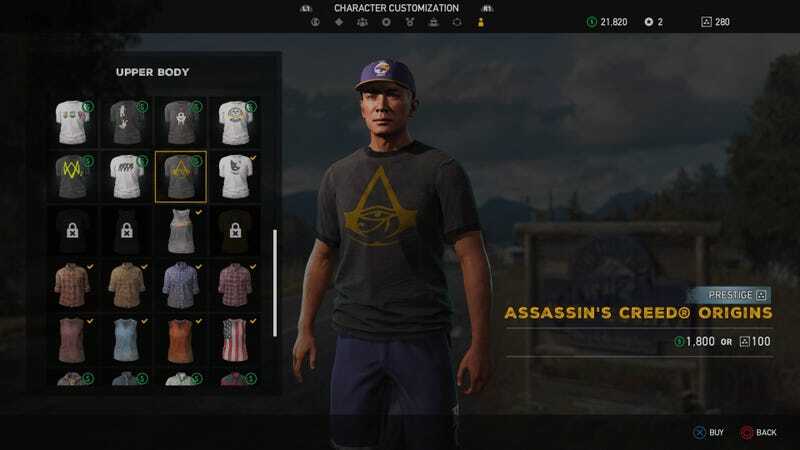 Microtransactions in the game are tied to some weapons, vehicles and clothing. Well, technically, microtransactions are tied to a premium currency called Silver Bars that can be spent on so-called “prestige” weapons, vehicles and clothing. In all cases, using silver bars is optional. 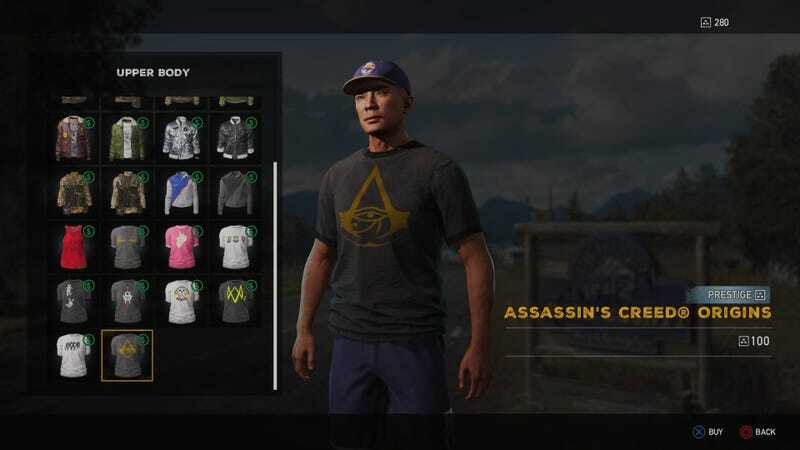 All items in the game also can be purchased with in-game money earned just from playing. 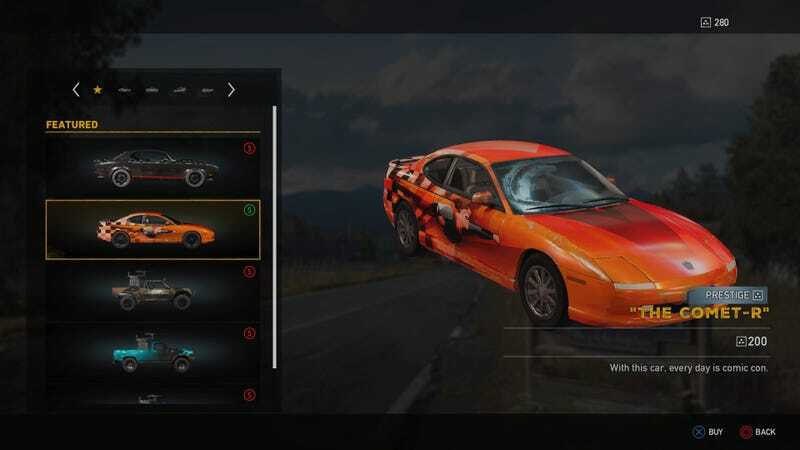 Prestige items include a car with a superhero painted on it and a shovel called “Optimism” that sports a happy face. The Comet can be purchased for 200 silver, which you can find in the game’s safes or buy as part of a £4 500-silver microtransaction. Like all prestige items in the game, you can also just buy it with in-game money earned by playing. 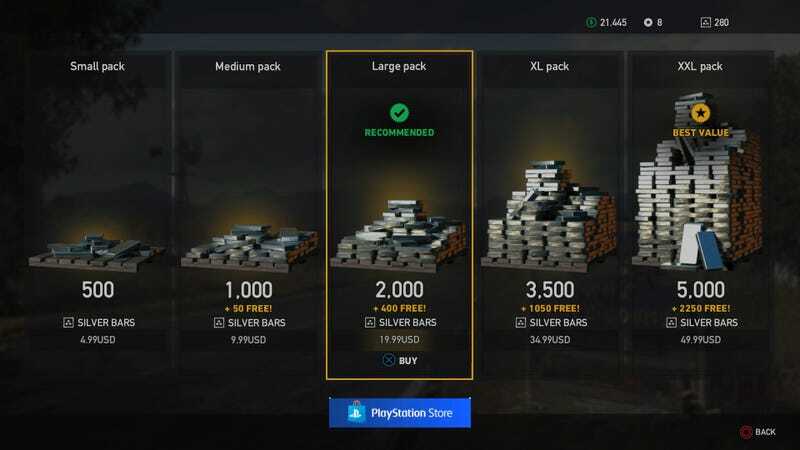 Silver bars are sold in five different-sized packs, with Ubisoft’s in-game shop steering people toward a 2,400-bar bundle that costs £16. Going for a meagre 500 bars would cost you £4. Yes. According to Ubisoft, there are 1,000 silver bars hidden in batches of 40 in 25 of the safes hidden throughout the game world. That’s about 7 quid worth of loot. You need to poke around a bit to find the safes, so earning any of this free silver requires some effort. Perhaps they want you to feel like you get a deal by playing the game thoroughly, which is a little Rusty’s Real Deal Baseball of them.